Investigators have raided the headquarters of France’s National Front (FN) as part of a probe into allegations the far-right party and its leader, Marine le Pen, misused EU funds to pay staff listed as EU parliament aides who apparently worked elsewhere. "For the second time, a raid took place at the same offices, over the same allegations, which confirms that the first raid amounted to nothing," the National Front said in a statement, released in the aftermath of Monday’s raid. The party denounced the move as a “media operation whose sole purpose is to try to disrupt the smooth running of the [Le Pen’s] presidential election campaign.” The statement also pointed out that the back-to-back searches came at the very moment Le Pen is making big strides in the polls. 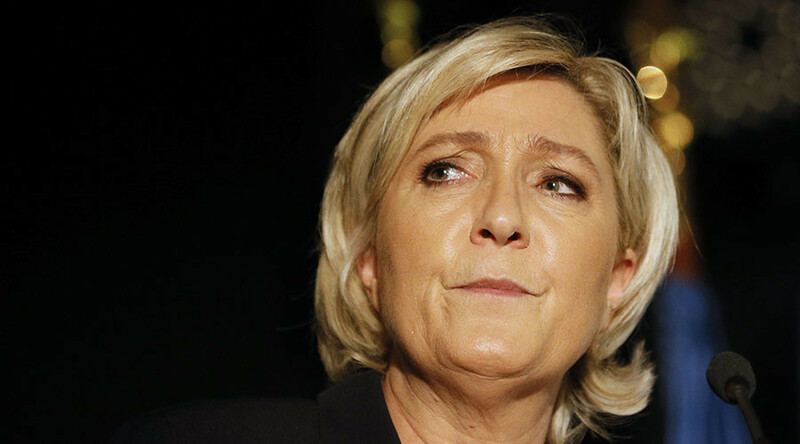 According to a recent poll by Opinionway, Le Pen is on course to seal a convincing victory in the first round of the presidential elections, and she is projected to win 27 percent of the votes cast. However, she is still poised to lose in the runoff in May, when she could face either centrist Emmanuel Macron or mainstream right-wing candidate François Fillon. Monday’s operation coincided with Le Pen’s two-day trip to Lebanon, during which she for the first time since the beginning of her presidential campaign met with a foreign head of state, the country’s President Michel Aoun, and Prime Minister Saad Hariri. Both raids were conducted in line with the probe launched by the Paris Prosecutor’s Office on December 15. Among the charges Le Pen faces are “fraud,”“breach of trust,” an “attempt to commit fraud” and others. All the allegations are revolving around FN hiring 20 assistants for its European MPs who were allegedly working at the party’s Nanterre office instead of Brussels, Strasbourg or the MPs’ constituencies. The investigation was initiated by the European Parliament in 2015 as then-President of the European Parliament Martin Schultz asked the European Anti-Fraud Office (OLAF) to look into potential mishandling of funds by the FN. 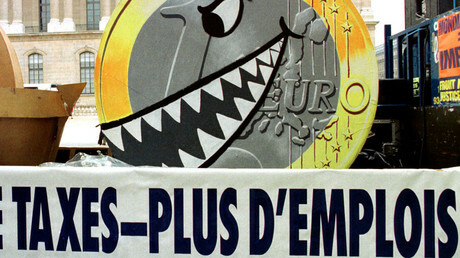 "One cannot be paid by the European Parliament and work for a party," he said at the time. As part of the probe, Le Pen herself is accused of hiring two assistants, Thierry Légier and Catherine Griset, who were engaged in the work not related to their perceived job as parliamentary aides. An OLAF report released last week claimed that Thierry Legier had been wrongly paid some 41,554 euros ($44,000) from EU Parliament funds as an aide, while in effect he was working as Le Pen’s bodyguard. 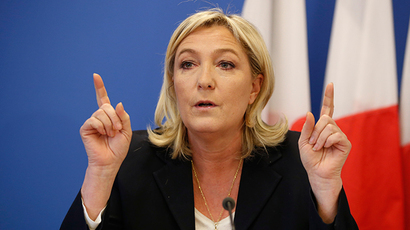 As result of the earlier investigation into the probe, the European Parliament had already ordered Le Pen to reimburse 336,146 euros ($357,000) to the Parliament. However, as she keeps denying all the allegations, the money is going to be deducted from her salary as an MP.